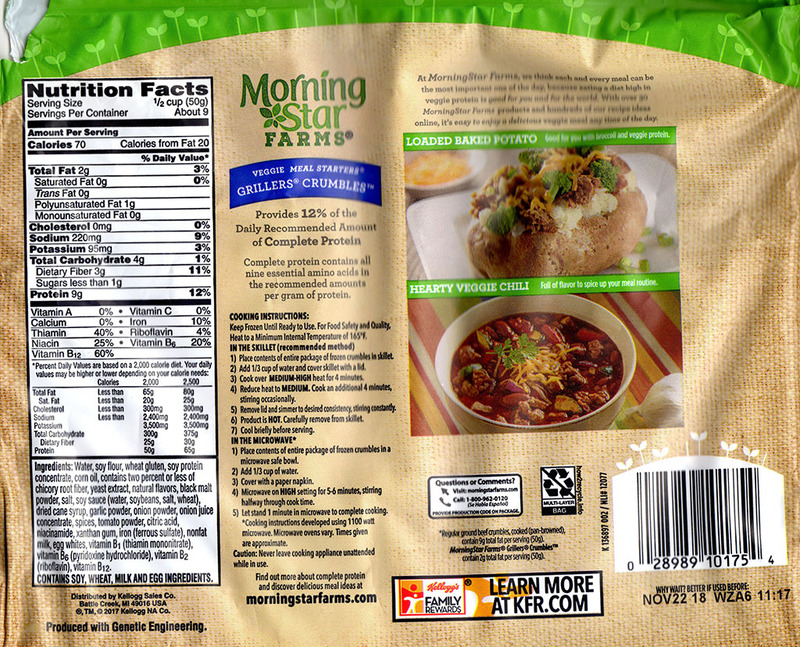 Are MorningStar Farms Grillers Crumblers any good? Absolutely. 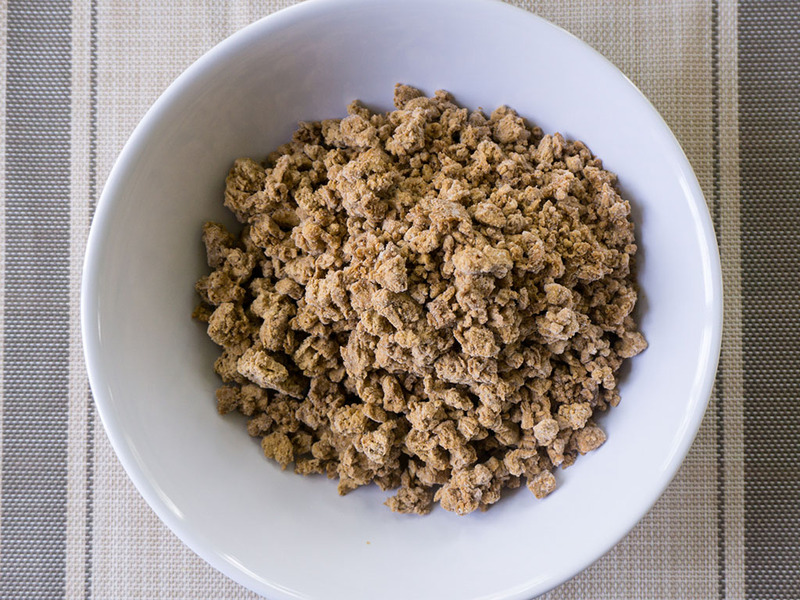 This ground beef substitute is one of the best on the market. 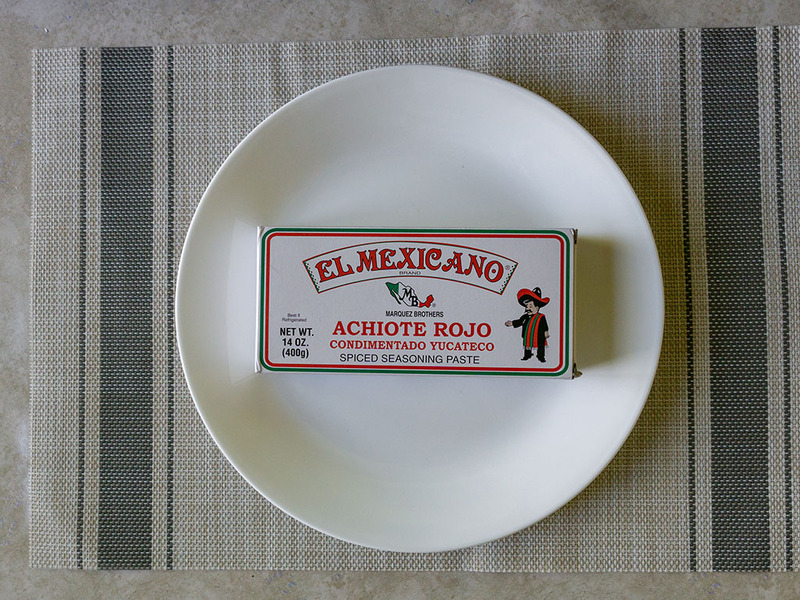 It’s a versatile product than can be used in a wide range of dishes; everything from tacos to enchiladas to chilli. 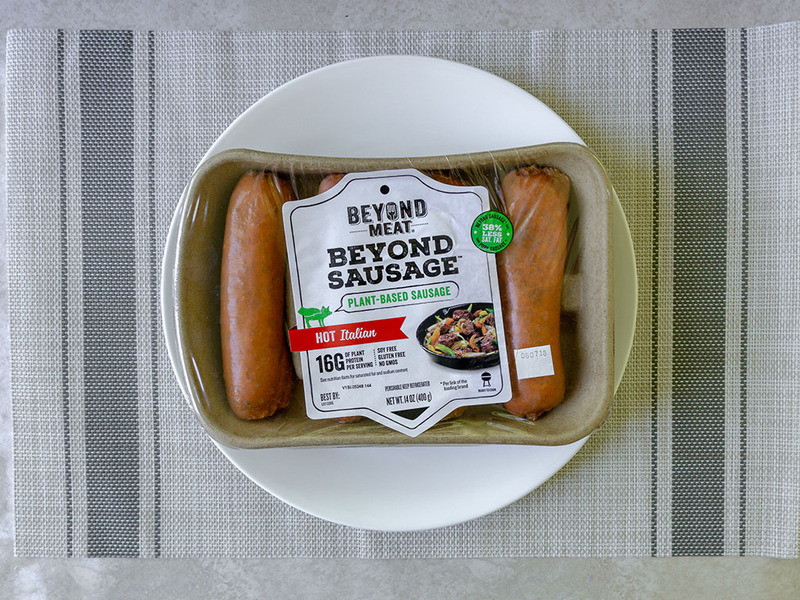 With all the modern meat substitute products coming onto the market over the past few years, it’s often easy to overlook some of the stalwarts of meat free lifestyles – case in point – MorningStar Farms. 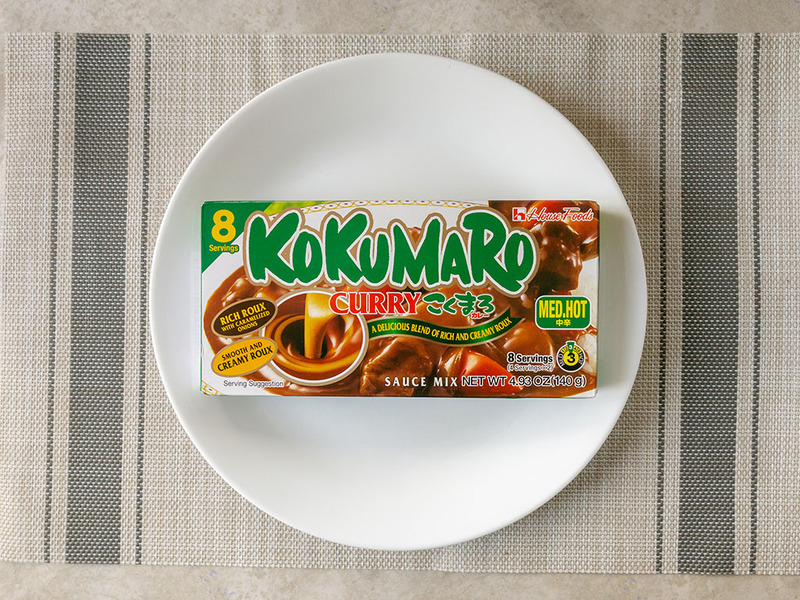 Founded way back in 1975 the company was purchased by Kellogg – the current owners – in 1999 for $307 million. That looks like a snip these days considering some of sums of VC cash goin into cooler, contemporary brands. 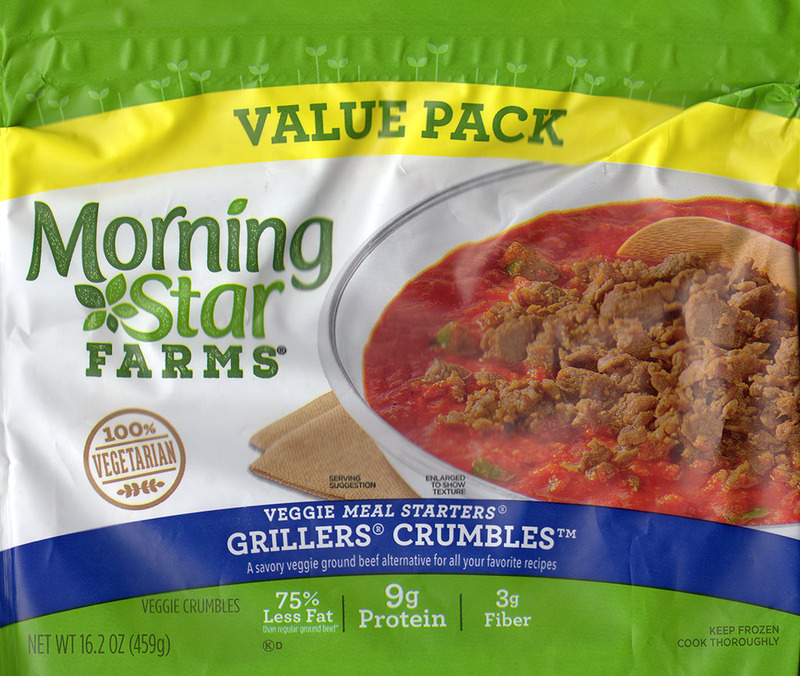 One of the centerpieces of the MorningStar line up are these Grillers Crumblers – a faux ground beef product. As you can see below, out of the bag from the freezer it loosely resembles the real stuff. Taste wise I am a huge fan, it’s a great stand in for the real deal. To be sure it doesn’t possess the rich, fatty mouthfeel of ground beef, but nor does it have any of the saturated fat. 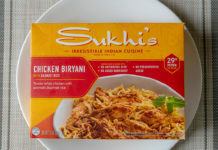 Seasoned liberally with your favorite spices and integrated into a layered dish, I am certain some diners would never notice they were eating a soy based product. Some of that illusion comes from the fact that texturally, this product has a great chew. 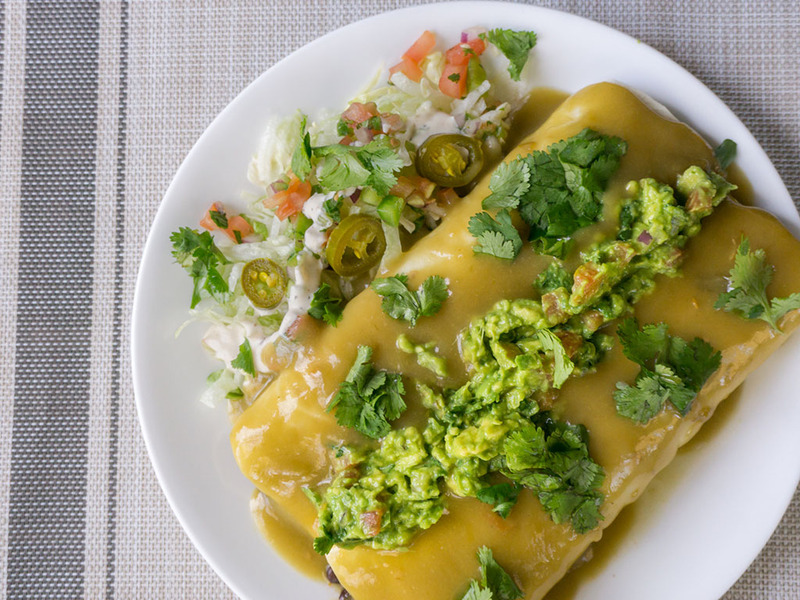 In dishes such as enchiladas, with the right mix of toppings you’d never know the difference in terms of texture. I should note that while the product is great for vegetarians it does contain egg so is not suitable for vegans. 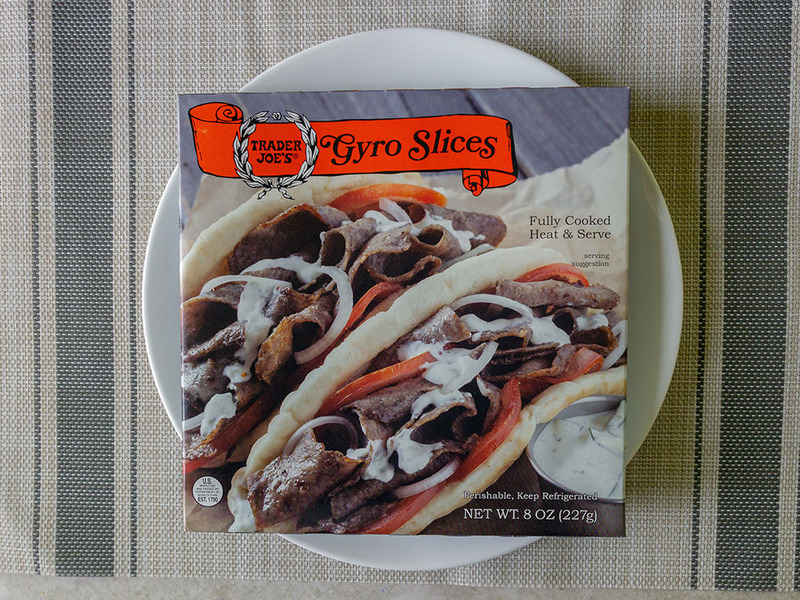 For the product’s fantastic ability to stand in for real meat without any of the fat, this is one of our Smart Buys. We always have a bag in the freezer as such. 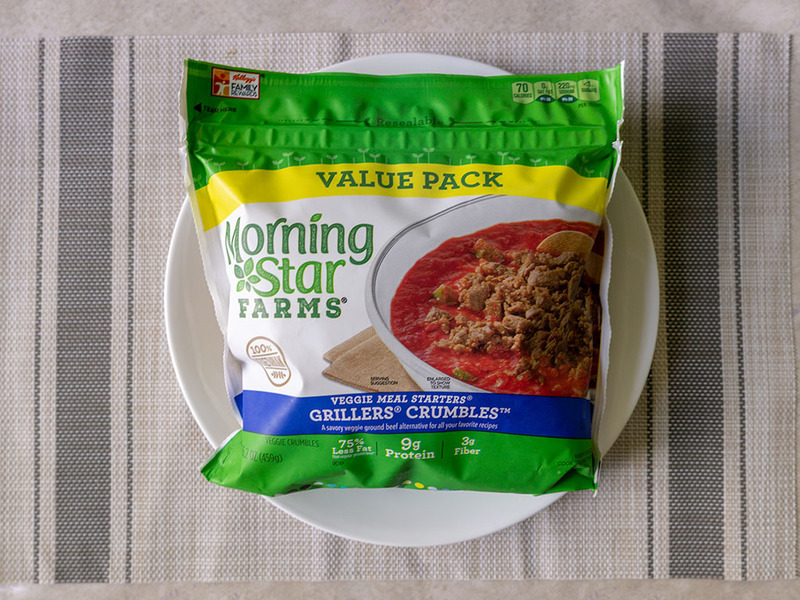 I don’t think it’s any coincidence that MorningStar commonly put this product out in 1 pound bags – the same standard format for traditional ground beef. 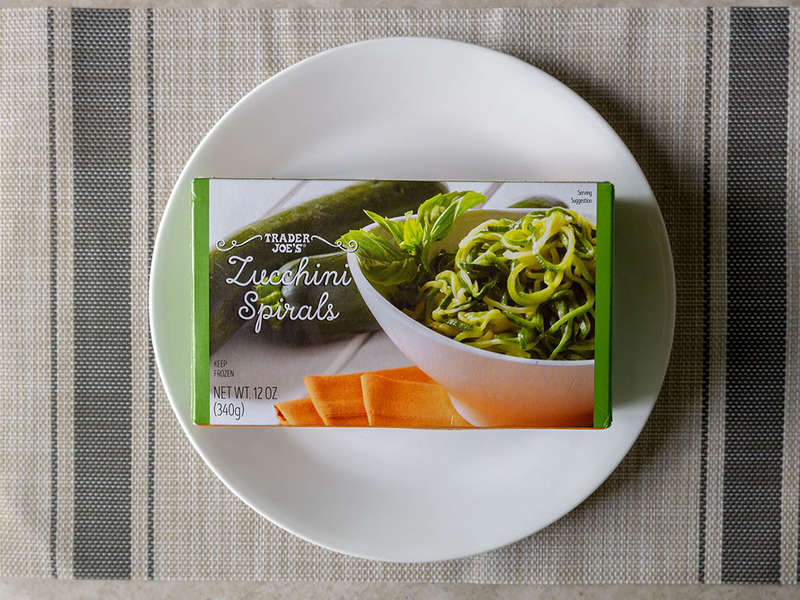 This makes the conceptual leap from animal to plant based cooking that much easier – you don’t have to mess with any existing rations in recipes you’re familiar with (e.g. 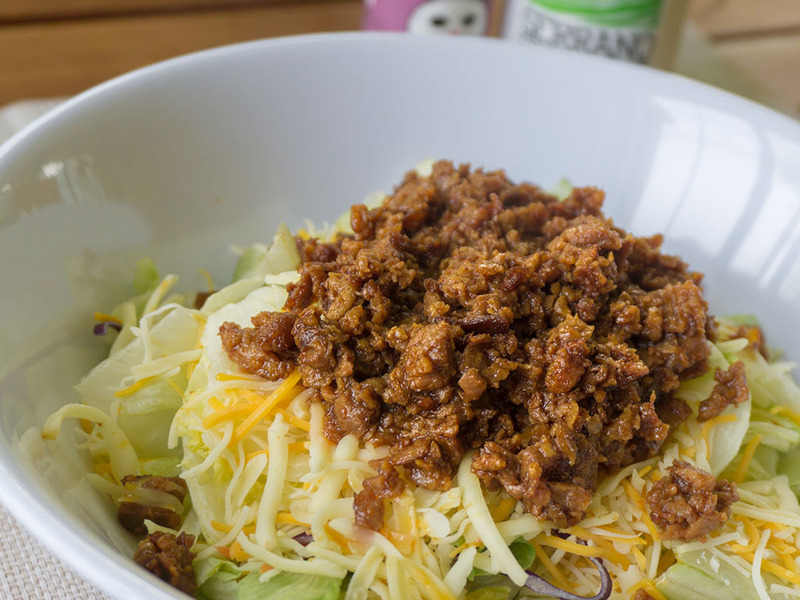 if you know a half pound of ground beef is great for your favorite enchilada recipe it’s easy to eyeball out of the bag here). Cooking is simple enough, throw it in the pan and cook for 5-10 minutes or so. I usually cook the Crumblers separate to the rest of the dish and integrate into the end. 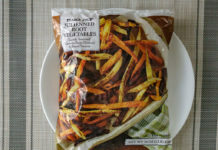 I’m not sure you’d want to simmer these in chili sauce for 2 hours for example, but I can’t see any issue cooking the sauce and meat separately and integrating for 5-15 minutes at the end. Nutritionally these are fabulous, none of the saturated fat of real meat. 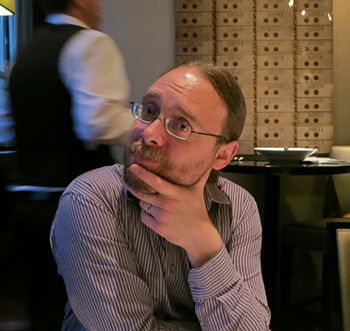 In fact zero saturated fat. That comes at the expense of a little sodium, as is the case with many faux-meat products; nothing too egregious in my book. Lastly a half cup is nine grams of protein, so not too shabby there either. The 16 ounce back above I’ve found at $4.98 in Walmart stores (31c an ounce). Meanwhile I’ve spied a 12 ounce bag at Smiths for $3.99 (33c an ounce). 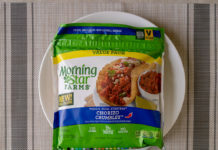 What dishes can I make with MorningStar Farms Grillers Crumblers? One of my favorite uses for MorningStar Farms Grillers Crumblers is in familiar Mexican dishes: burritos, tacos, enchiladas, chili etc. 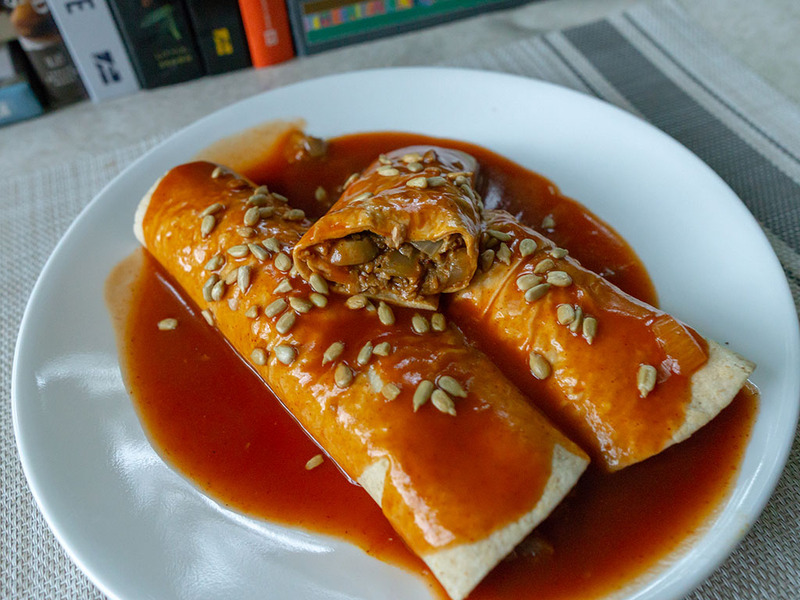 In the super simple green chili vegetarian enchiladas below I’m using a filling of MorningStar Crumblers with S&W canned black beans and a little cheese. 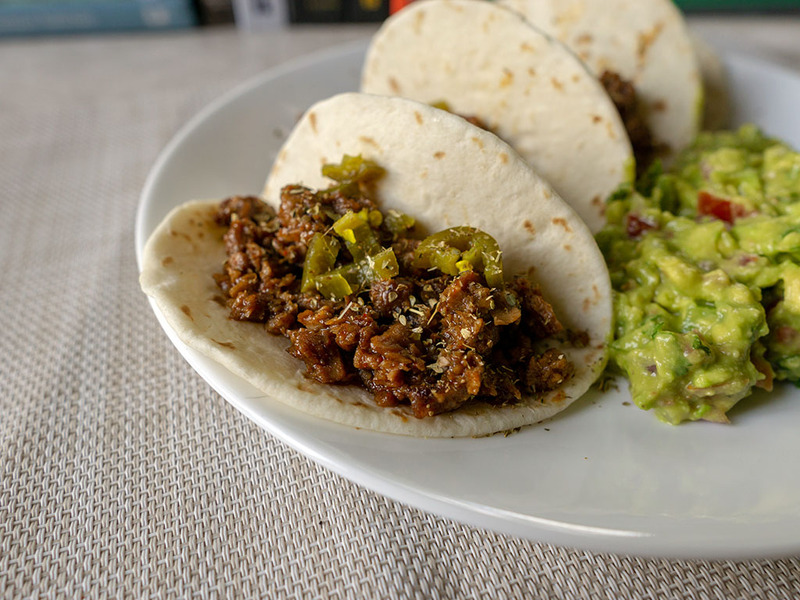 Wrapped in Mission tortillas and topped with Hatch green chili sauce and homemade pico and guacamole. 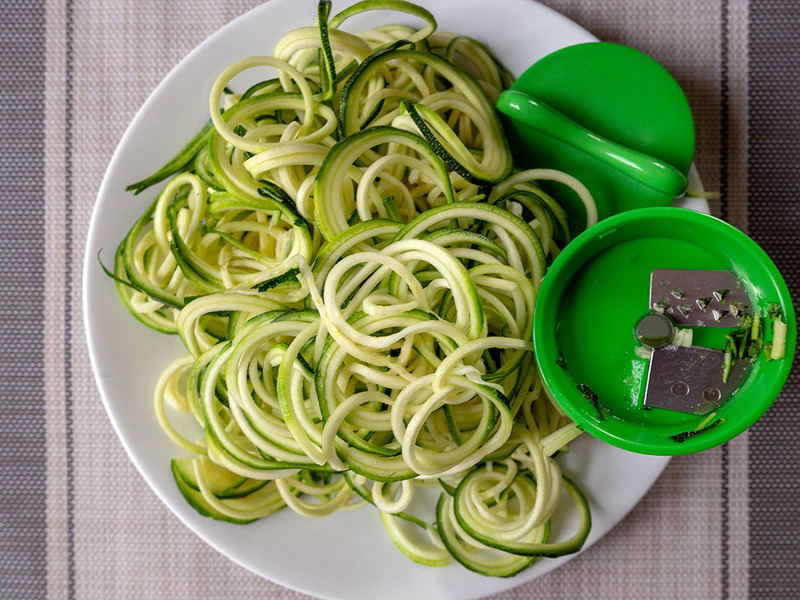 It’s super quick, cheap and extremely healthy. 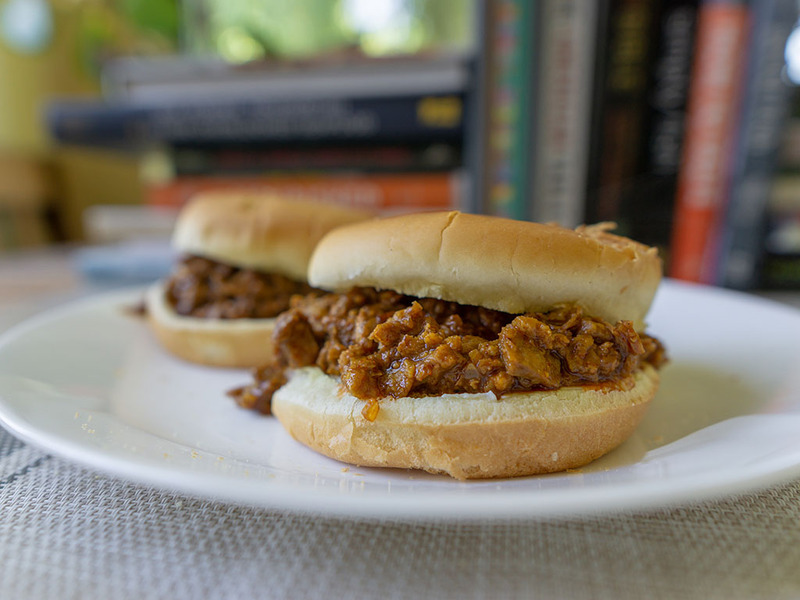 Another favorite of mine for lunch are quick sloppy Joes with a little McCormick hot taco seasoning as flavoring. These couldn’t be easier; quickly fry the meat, add the sensing then a little water and cook through till absorbed. Toast some buns, layer on a little may and top with seasoned meat!